HISD is dedicated to providing parents with the supports they need to be invested in the success of their children. Parent University supports parents and families in the education of their children, providing an introduction to district programs, community resources, and parent-engagement strategies. 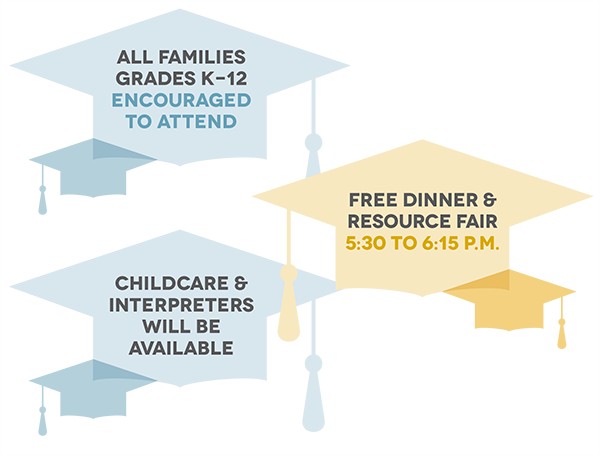 Beginning in October, each Parent University session will be held at geographically dispersed locations on the same evening throughout the school year and will begin with dinner and a resource fair featuring HISD staff and community partners. Childcare will be provided. Community organizations and corporate partners wishing to participate in our resource fair can sign up here. PARENTS CAN ATTEND ANY LOCATION!